Many families read the Victorian classic "A Christmas Carol" each year. 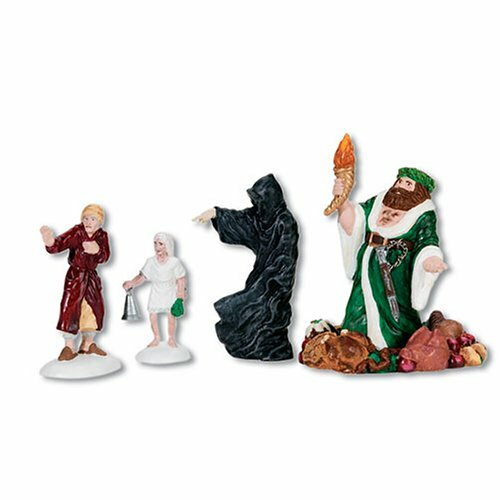 This accessory set of 4 figurines features Scrooge and each of the ghosts of Christmas in hand-painted porcelain. Part of the Dickens' Village Series, this set is a classic interpretation of Charles Dickens' classic novel. The Dickens' Village Series is designed and manufactured exclusively by Department 56.